The Momentum BIG5 Challenge is a multisport stage race hosted in scenic Knysna. It takes place during the annual Pick n Pay Knysna Oyster Festival, between 29 June and 8 July 2018. The Momentum BIG5 Challenges offers two different races, giving everyone the opportunity to take on this incredible event. The Momentum BIG5 is the full distance event, designed to push even the fittest athletes to their limits. The Momentum BIG5Lite is the shorter distance race which also gives athletes the option of switching the swim for a cycle or paddle.  The 2018 event sees the Momentum BIG5 Challenge capped at 100 athletes per race so we urge you to enter as soon as possible in order to avoid missing out! Momentum BIG5 Challenge T-Shirt provided by Salomon. Momentum BIG5 Challenge wet bag provided by Ciovita. Complimentary Ferry Cruise to the Knysna Heads courtesy of the Featherbead Co. Secure Bike Park on Cycle days conveniently located within the BIG5 Hospitality Zone provided by Squirt. Priority access to athlete services such as travel, accommodation, massages, excursions etc. BIG5 Dedicated Timing & Live Results system for all races with Real Time Leaderboard in Momentum BIG5 Hospitality Zone. A host of prizes up for grabs courtesy of our partners including cash prizes for overall Podium Winners.